Ceramic elephant tray with sage & brown glazing. See VDC97 for smaller version! 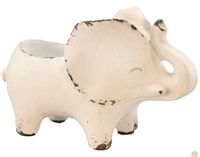 Ceramic baby elephant tray with sage & brown glazing. See VDC96 for larger version! 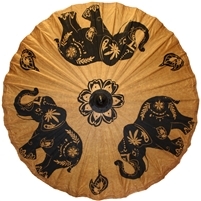 Exclusive WB design on this handmade parasol from Thailand. Well dressed safari animal magnet set! 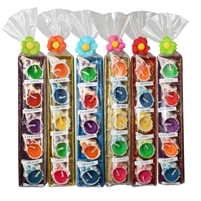 Set of 6 magnets in each gift box. Minimum is 3 gift sets. Must order in increments of 4. Baby elephant bowl glazed ceramic. Rhino hook for wall or plaque. Screws not included. Clearance price shown now 50% off! Gold leaf glass tray with WB exclusive festival elephant artwork. Brown metal giraffe paper towel roll holder. 2pc minimum. Must order in increments of 2,4,6 etc..
Velvetly black coin purses with elephants and sequins. 3 dozen assorted. 4 tray minimum. 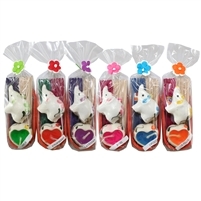 Please order in increments 4,8,12,etc..
Five little elephants dressed for the "Holi" festival of colors in India. Colorful mobile with lucky baby elephants! A stuffed and sequined elephant is surrounded by bright springtime colors in this cutel little purse. Shoulder strap drop is apprx 23"l.
Stuffed sequined elephant adorns these colorful coin purses with zipper. What a great price too! Perfect size tray for baubles and what-nots! 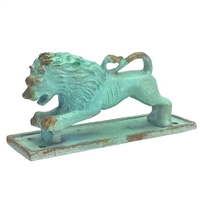 Iron lion drawer pull with a rustic turquoise finish. Clearance price shown now 65% off. How cute is this little guy that can hold your rings, a few coins, etc. 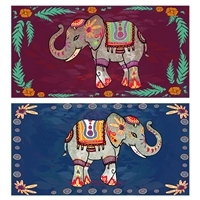 Colorful assorted fabric elephant coasters.